It’s 3:00. Do you know where your donkey is? December 2, 2011 .Reading time 1 minute. For the record, I would like to point out an error. 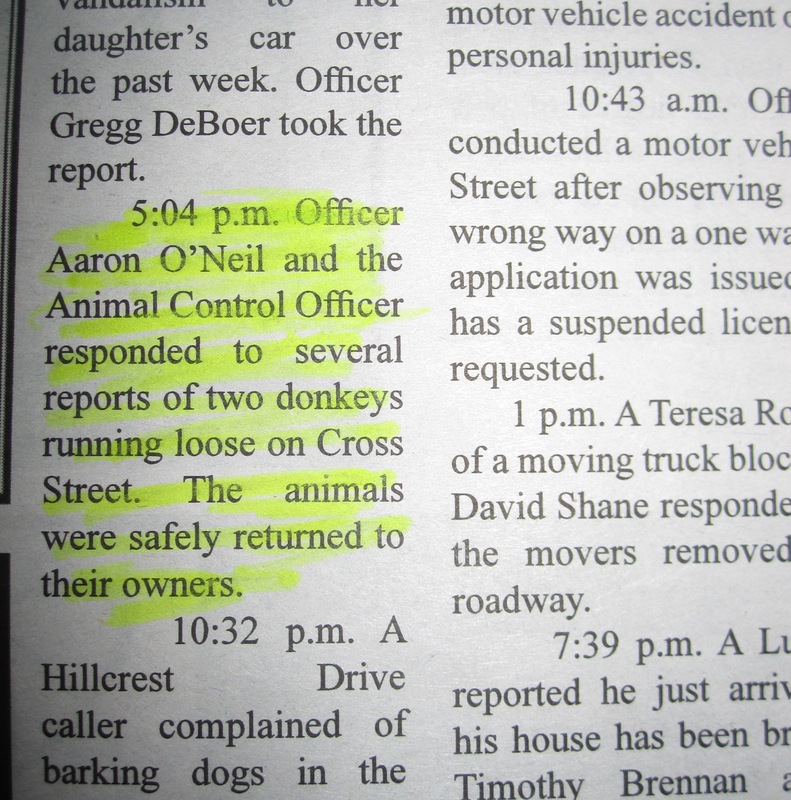 Contrary to implication, said officers did not assist in the re-homing of the donkeys. Never even saw ’em. Aided by a neighbor with a bag of apples, we apprehended them ourselves. The last time Jo-Jo and Foggy had an excellent adventure, we took blueberry pies to the neighbors whose lawns they desecrated. I am beginning to think that people are letting them out while we’re not looking in hopes of getting a pie.